Updates to Cheri's profile since your last visit are highlighted in yellow. I can hardly believe we have begun the planning for our 40th Reunion! It was such fun setting it up several years ago and the features have been expanded. I need to take a look around and see what more I can do to my own profile! I am about ready to say goodbye to Facebook soon. How about you? I thought that once the kids left the nest I will develop a few more hobbies and passions. Not so much, I have filled the time with more responsibilities and travel with work. Fortunately, many of the travels have been near to my kids! Look for more info soon on the reunion - it is sure to be another rip-roaring time! Hope to see lots of you at the reunion! I have such fond memories of my high school days at PG. So many people I have met over the years do not have such great memories of their high school days so I feel very fortunate. I still keep in touch with many of our classmates and we enjoy reminiscing… I am still in denial about never making cheerleader and I can’t believe what cheerleading has become in current days. I guess if we had 25 cheerleaders I may have had a chance… However, some of the best times were hanging with the fans in the stands at the games, decorating my little black VW for the trip over the hill to the PG vs. Carmel games and kidnapping some deserving junior boys. I can’t say that I enjoyed my classes that much but P.E. was always a favorite. I am glad that Carola talked me into taking Ms. Anton’s English class, as we got to go to SF to see Taming of the Shrew. It opened my eyes to a little culture. To only have the issues and concerns of high school days… Life can be challenging but I think my time at PGHS brought lessons and experiences that have helped me along the way. Since 79' I have been here in Hollister - as a kid we lived in Lake Tahoe and Salinas! How often do you get back to PG? 2 kids, no grandkids yet! - UPDATE - still no grandkids! I appreciate my good health!!! I am now on Facebook. My kids won't "friend" me but I probably wouldn't have friend-ed my parents at their age either. Kind of fun. Just like an extension of of this site but to the whole world! - UPDATE - I am over it! Cheri Fisher Schmidt added a comment on Profile. New comment added. 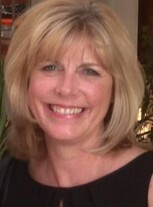 Cheri Fisher Schmidt added a comment on Profile. Cheri Fisher Schmidt has a birthday today. 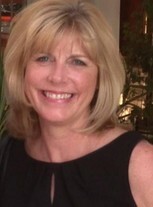 Cheri Fisher Schmidt added a comment on Debra Newell Foord's Profile. Will miss Mark' smile, warm hugs, and the genuine friend he always was no matter how many years that had passed. Friend from Hollister, Valerie (my sister), me, Sandi and another wan a be. We sat next to a family with 3 small girls and the mother commented that she hoped to someday being drinking beers with her daughters in Disneyworld. This was much more fun than changing diapers.